When we have no more space on our property to put our belongings, we place them in public storage facilities. The concept is so popular that there is now a hit show titled Storage Wars that auctions off abandoned units to the highest bidders. And according to the Self Storage Association, the industry produced $22 billion in 2011 in the United States alone and reports that Wall Street calls the commercial real estate business "recession resistant." When you pay to store your stuff, like with any service, you expect quality business, especially when the four walls of the institution will be holding some of your most prized possessions. That is why knowledge is power and it is so important to ask questions before renting a unit. This guide offers questions that should be posed to the manager who works at any potential storage facility you are consider renting. From access and maintenance, security, cost, insurance and references there are many things you should ask about before deciding where to store your stuff. What are the access hours? Knowing when you can enter into the facility and open your unit is the first thing you need to know since you are never sure when you are going to need a particular item that is stored away at the site. Will anyone be able to access my unit? Finding out if the manager or any other employee will have access to your unit is important since it is your stuff and no one should be able to contact it. Most facilities are under the clients own lock and key, hence, only the customer themselves can enter their particular unit. Is the facility maintained properly? Just because you are sure you can access your stuff at your convenience and no one else will be able to get to it is not enough. You must be sure to ask about maintenance, inquiring how often facility representatives check the building structure for leaks or rodents that could cause damage to your goods. How often are the smoke alarms and sprinkler systems checked? After assuring that your stuff is safe from water or pest damage, you must ask about the site's smoke alarms and sprinkler systems. Ask how many devices are on site and how often they check the battery charge and water pressure. Are there any onsite cameras or do you need a safety code to enter and exit the property? Ideally you want to rent a unit that has 24-hour surveillance so you have proof of what is happening when you are not present. This is most important since so much self-storage theft happens by one tenant cutting the lock off of another customer's unit. If the facility does not offer such heightened awareness then they should, if nothing else, have a secret code to both enter and exit the site. What, if any, criminal activity has taken place at the site? Finding out if there is any record of wrongdoing on the site is significant. Whether one tenant attempted to access another's unit or the police were called to the property for criminal activity will help you determine whether or not you should trust the site location. How long has the manager been with the company? When speaking to the manager, you should ask how long they have been with the company. To be even more careful, ask for their supervisor's number so that you can call and ask for a reference. If the manager is leery about giving you their supervisor's number then that should be a red flag. Also, ask yourself a question when speaking to the manager, posing whether or not you feel as though you can trust them. Needless to say cost is a huge factor in figuring out where you want to store your stuff. In the end, you need to be able to afford the unit price you will have to pay each month. How much will the space really cost monthly after the special move in rate? Filling up so many street corners, self-storage companies are constantly competing against one another for business. Though one business may be offering a special move in rate, sometimes just a $1 for the month, find out exactly how much you will be paying at the end of every month. Make sure you compare costs of at least four facilities before you make a final decision. Does the site offer special rates for long-term storage or larger units? While you want to make sure the rates are reasonable beyond the first month, you also want to find out about any specials the site offers. 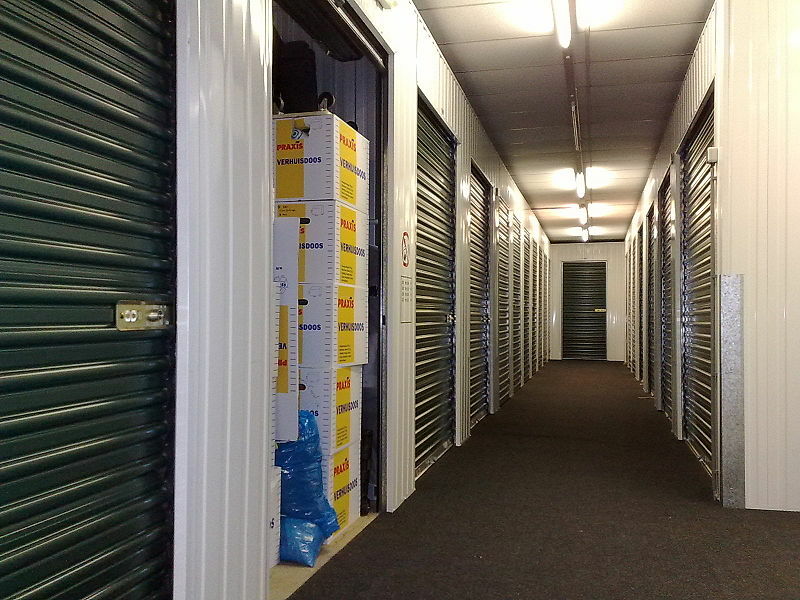 Many facilities offer special rates for long-term storage or for larger units. Are all access and administration fees included in the monthly rate or will you be charged more than quoted? Make sure to find out whether or not you are allowed unlimited access and will not be charged for frequenting the facility as much as you need or want to. Also, assure that all administration fees, taxes and other charges are included in the final monthly total so you know precisely how much you have to pay at the end of each cycle. What happens if you are late on a payment? Of course you don't want to even ask, but you must. You never know what the future holds, especially when it comes to finances. In the worst case scenario if you could not make a payment on time, what is the financial and access penalty you will charged with. One of the last and most important issues to inquire about is the site's insurance policy. Leaving your most prized possessions at the site makes them subject to damage by fire, theft or other rare circumstances. Ask about the institution's indemnity to assure your belongings are covered in the case of an unlikely incident. The last thing you will want to ask about is customer references. If the site cannot provide any, there is your second red flag, which is enough for you to thank them for their time and be on your way. Reviewing or attaining a few customer references that confirm the sight is safe and secure will give you the sound of mind you need to make your final decision. What Should Go in a Storage Unit?